Let’s say you have a can of paint labeled for exterior use, but it's your kitchen that requires some painting job would you use it indoor? Both indoor and outdoor paints contain the same pigment and provide the same sheen, but they differ in many ways. Paints are formulated differently depending on their intended use. Manufacturers and experts would recommend using paint as labeled – exterior for outside and interior for inside. But there is one question that lingers in your mind, can you use exterior paint inside? Let me answer this question by telling you first the differences between exterior and interior paint. Enumerating the disadvantages and advantages of using exterior paint inside will also lead you to the best answer. Both types of paint are available in a wide array of colors. Either paint can be applied indoors but each has been formulated to perform well in its environment. You can apply exterior paint inside but there are things you need to know first before doing it. After weighing the advantages and disadvantages of using outdoor paint inside would you still use it indoor? If you still want to give the exterior paint a chance, then you should be able to counteract its negative effects. But, if you want to be on the safer side it is best to use indoor paints inside and outdoor paints outside. Paints are formulated differently depending on where you will apply it for a simple reason – it’s what will provide you the best results. So, can you use exterior paint inside? The answer is yes but think about the consequences of using it. Exterior paints are formulated to withstand the harsh elements outside. The most common flexible type of paint used outdoors is the premium latex exterior paint. It has flexible acrylic resins that contract and expand along with home siding during the sudden change of weather from hot to freezing cold. Outdoor paints contain UV-blocking additives and are highly water-resistant that prevent unexpected breakdown from the direct sunlight. Some additives protect the surface against tannin stains and mildew spores from wet falling leaves. The interior paints are manufactured to survive the heavy indoor traffic that usually results in everyday scrapes and bumps against woodwork and walls. Indoor paints are formulated with additives and resins that produce a smooth finish that withstands regular scrubbing or dusting. This type of wall paint likewise includes additives that reduce spatter as you apply it using a roller or brush. Exterior and interior paints differ on the types of liquid used. 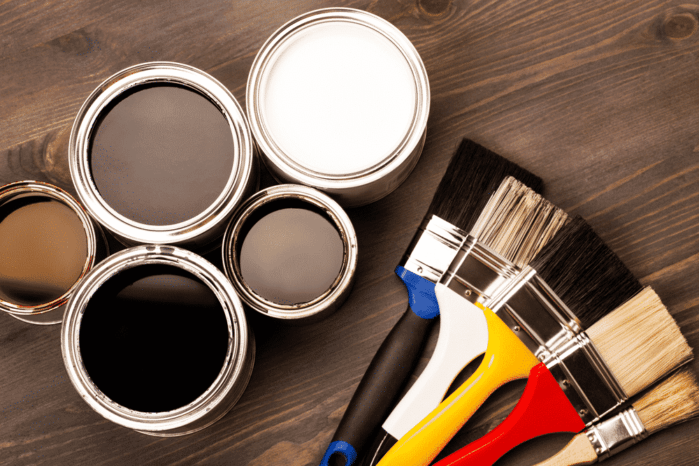 According to federal guidelines, indoor paints use water-based paints such as latex which contain the lowest levels of volatile organic compounds or VOCs. The compounds are used as solvents in the liquid component of paint and evaporate at room temperature. VOCs are associated with some long-term and short-term health problems, like headaches and dizziness to respiratory health problems and liver damage. They are also known to cause certain cancers. Since the paint manufacturers are also concerned about human health and the environment, they formulate indoor paints that produce less odor and minimal or no toxic emissions. While the exterior paints are formulated with ingredients when used in indoor spaces emit in the atmosphere chemical fumes that includes strong mildewcides, volatile organic compounds, and other possible health hazards. These airborne chemicals may irritate throat and eyes and are known harmful to those with respiratory disorders. The most common type of exterior and indoor paints is latex. You can use exterior latex paint for your living room or kitchen, but you should think many times before you do. The additives and binders in outdoor paint are formulated to withstand harsh conditions, and you will get thicker coating and less decorative as compared to interior latex finish. Vice versa, an interior latex paint will not be able to last long if you use it to paint your fence or house siding because it lacks the heavy-duty additives. Even if the interior paint will not fade easily in the sun, the paint itself would deteriorate easily, and you might find yourself repainting it after several months. An exterior paint can be used for interior painting like in the bathroom since it is prone to humidity and moisture. These factors can cause cracking, mold and mildew, and peeling problems. Outdoor paints are formulated to withstand these factors thus it is used by some homeowners to paint their bathroom. Exterior paint held up much better than indoor paint. Since outdoor paint is designed to survive any change in weather it will not easily fade or removed. Thus, if you use it on your kitchen and bathroom it will stay longer even if the areas are exposed to heat and cold every day. Outdoor paints can be used both exterior and indoor. While the indoor paints are used only for indoor. Exterior paints contain a high level of VOCs which is dangerous to human health and the environment thus using it indoor is not safe. But if you can find an outdoor paint with a low level of VOCs, then you can consider using it inside. 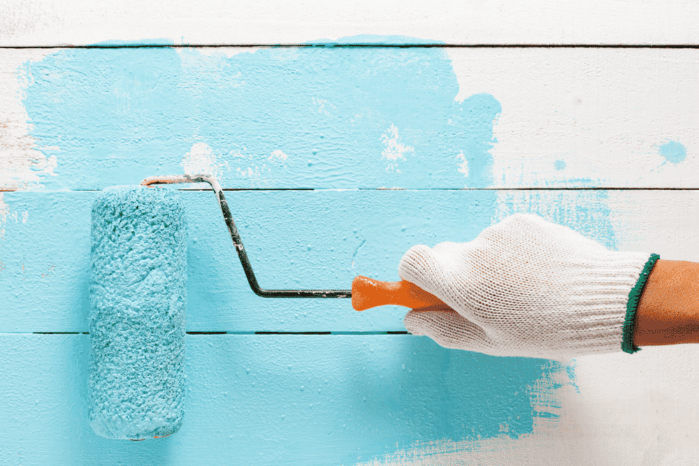 Outdoor paints emit strong and irritating odor in the environment that may last up to six months. If you cannot bear the smell, you should avoid using it. But if opening the windows and the exhaust fan can solve your odor concern, then good for you. 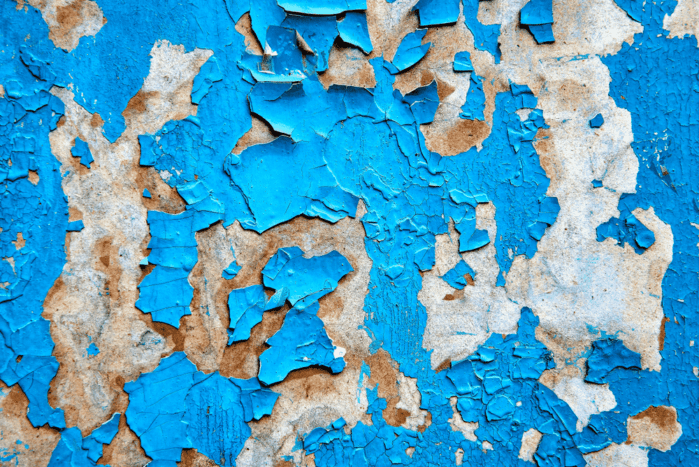 Using exterior paints may result to a rougher finish than indoor paints. These paints are formulated differently which is why they are giving you different results.